super peace busters friends 4ever!!. 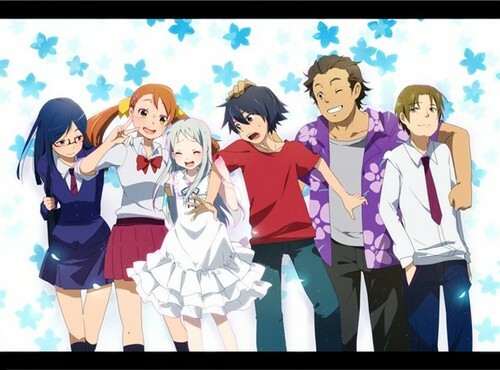 anohana group photo ^^. Wallpaper and background images in the AnoHana club tagged: anohana anime cute menma anaru jintan poppo tsuruko yukiatsu.